Professor David S. Schwartz teaches and writes in the areas of Constitutional Law, Evidence and Civil Procedure. His scholarship includes articles published in the Georgetown, Notre Dame, and University of Pennsylvania law reviews, and he has co-authored two casebooks: Constitutional Law: a Context and Practice Casebook (with Lori A. Ringhand) (Carolina Academic Press, 2nd ed. 2017), and An Analytical Approach to Evidence: Text, Problems and Cases (with Allen, Swift, Pardo & Stein) (Wolters Kluwer, 6th ed. 2016). His book, The Spirit of The Constitution: John Marshall and the 200-Year Odyssey of McCulloch v. Maryland is to be published by Oxford University Press in summer 2019. Professor Schwartz is a two-time recipient of the Classroom Teacher of the Year Award, in 2004 and 2013. He has also taught Remedies, Civil Rights Litigation and Employment Law. His public service has included drafting and filing amicus curiae briefs on employee and consumer rights issues in the U.S. Supreme Court, the U.S. Court of Appeals for the Ninth Circuit, and the Wisconsin and Illinois Supreme Courts, and a constitutional opinion letter on domestic partnerships for Wisconsin Governor James Doyle. His scholarship on the Federal Arbitration Act and employment law has been cited in 17 judicial opinions, including cases in the U.S. Courts of Appeals and the California Supreme Court. Professor Schwartz also testified before Congress on the Federal Arbitration Act and helped draft the proposed Arbitration Fairness Act of 2007. 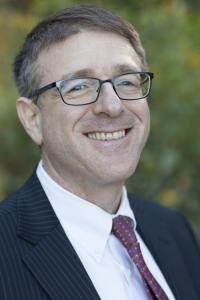 Professor Schwartz joined the UW law faculty in fall 1999, after 12 years of law practice specializing in employment discrimination and civil rights litigation. For the three years just prior to joining the Law School, Prof. Schwartz was Senior Staff Attorney at the American Civil Liberties Union of Southern California, in Los Angeles. Previously, Prof. Schwartz was in private practice in San Francisco, representing plaintiffs in employment cases. After graduating law school, Prof. Schwartz clerked for the Honorable Betty B. Fletcher of the U.S. Court of Appeals for the Ninth Circuit.